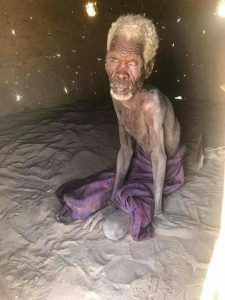 In the news the last couple of days, the tag of war between politicians and residents of Turkana has been apparent, with the latter reporting deaths from hunger while the former say that the deaths have not been directly linked to hunger. I take this to mean they did not drop dead because they haven’t had something to eat. But while this is very much possible, it is also possible that their lack of food did result in diseases that caused their death. In which case the death would be an indirect consequence of hunger. In the conceptual framework of malnutrition developed by UNICEF, inadequate food intake and disease are immediate causes of malnutrition. Now these causes affect the individuals. Then we have the underlying causes; inadequate access to food, inadequate health care and unhealthy environments, which affect the households and communities. Finally, we have the basic causes of malnutrition that include human and environmental resources, economic, political and ideological factors. Malnutrition in Turkana has remained stubbornly high over the years and the current hunger is really just a tip of the iceberg. It’s a reflection of the food insecurity in the county; “when people lack secure access to sufficient amounts of safe and nutritious food for normal growth and development and an active and healthy life” (Food and Agriculture Organization). Some factors that may lead to food insecurity include food unavailability which can be due to poor rainfalls, livestock diseases, other shocks and hazards, lack of access to alternative food sources, improper utilization of available food, conflict and instability over a certain period of time. Now, the current interventions in Turkana include provision of food assistance to the affected populations, and while this is in order since the immediate need is food, the situation in Turkana is quite predictable. Meaning rather than reacting, we should be prepared, not with food aid, but making Turkana self-sufficient in food production. Some initiatives, in certain parts of Turkana, such as supporting small-scale food producers are a promising way to end food aid dependency and improve nutrition diversity among the county residents.